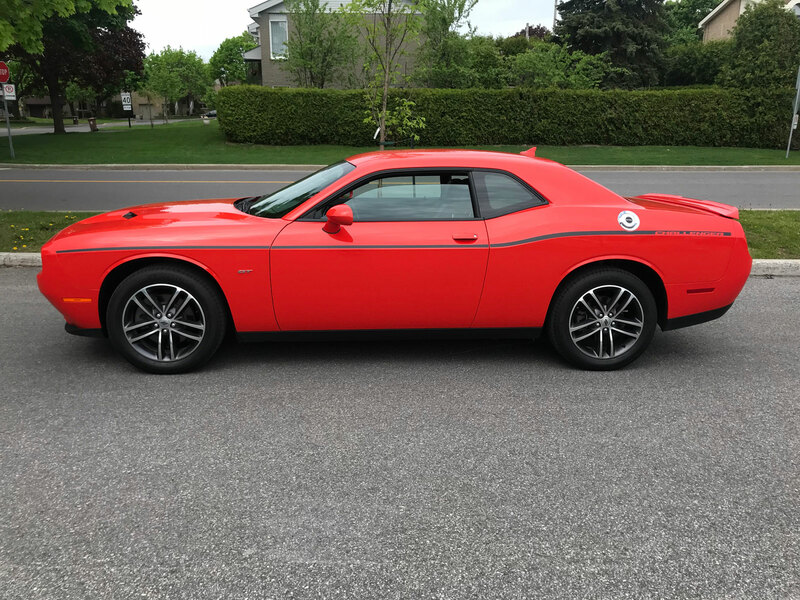 Dodge decided to think outside the box for this one and offer something of an oddity: a muscle car with all-wheel drive. 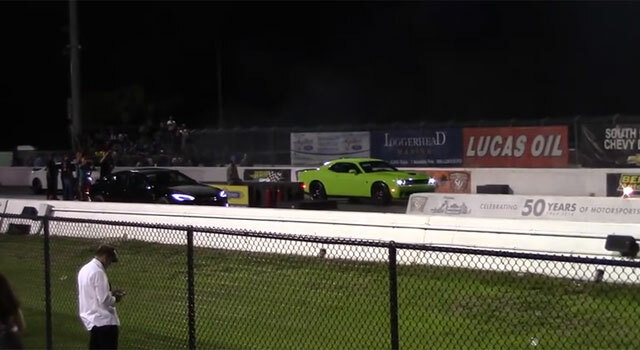 Muscle cars are known for going fast in a straight line and for doing burnouts (at least that’s why I’d buy one). 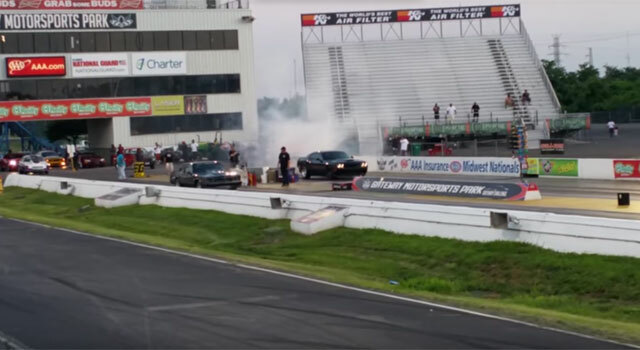 Here we have a burnout-incapable incarnation that’s not even that quick (you can only get it with a V6) so what gives? Let’s start with the obvious: The current Challenger is now a decade old. 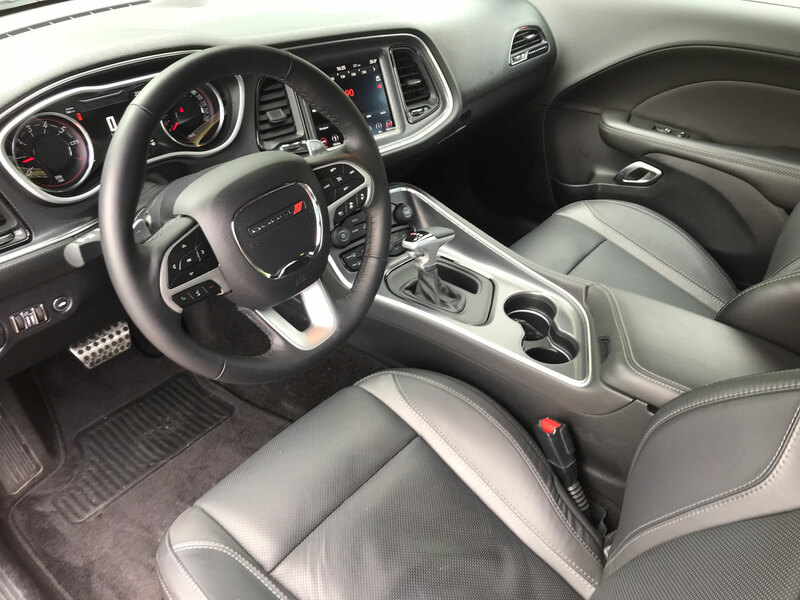 In car terms that’s really getting on because automakers tend to change their models every 5-6 years and even sometimes give them a facelift or two during that period. When cars get old we also tend to see a bunch of special editions come out in order to keep sales going. 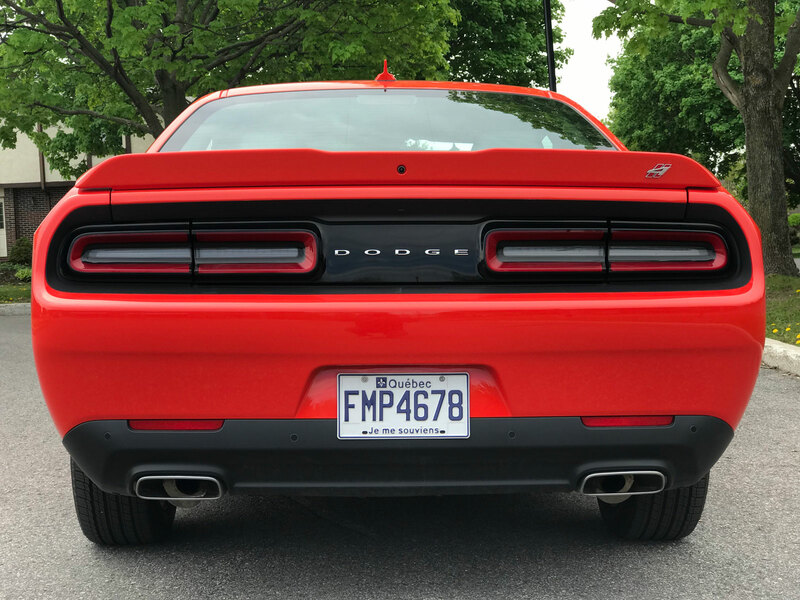 Another interesting factoid is that the V6 automatic version of the Challenger is actually the one which sells the most in the U.S. It’s been a similar trend with V6 Camaros and Mustangs usually outselling their V8 counterparts. 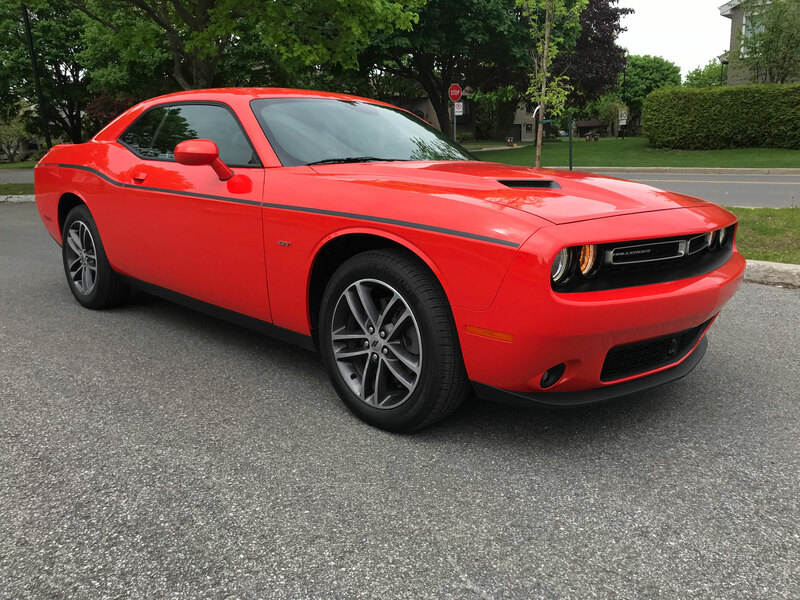 Since the majority of buyers don’t seem to care about going as fast as possible in a straight line then I suppose it make sense to offer them an all-wheel drive option. We Canadians sure as heck won’t complain because now Challenger fans have the option of getting one that is palatable all year round! 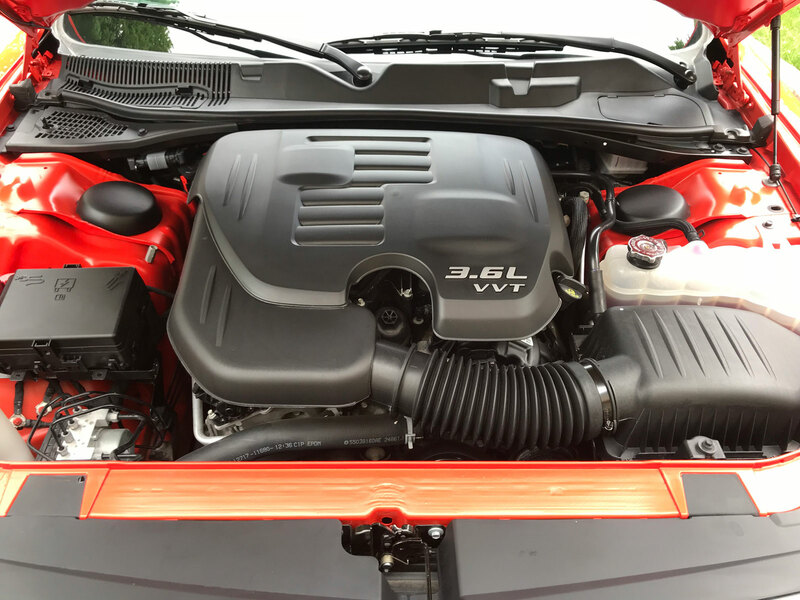 The Pentastar V6 motor under the hood produces a modest 305 horsepower and 268 lb-ft of torque. 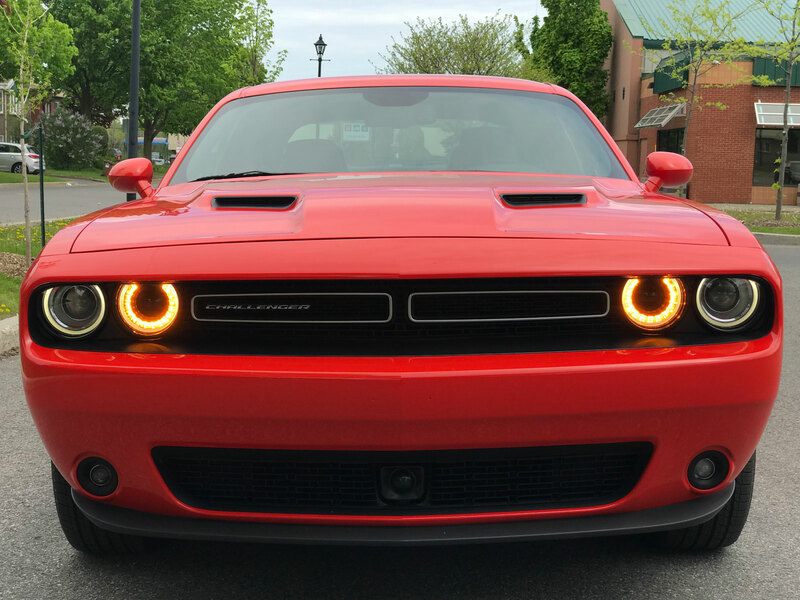 It will propel the Challenger enough but it’s not capable of an exhilarating thrill ride like SRT, Hellcat or Demon versions of the car. It’s also very quiet except for when you start it first thing in the morning for about 5 seconds. 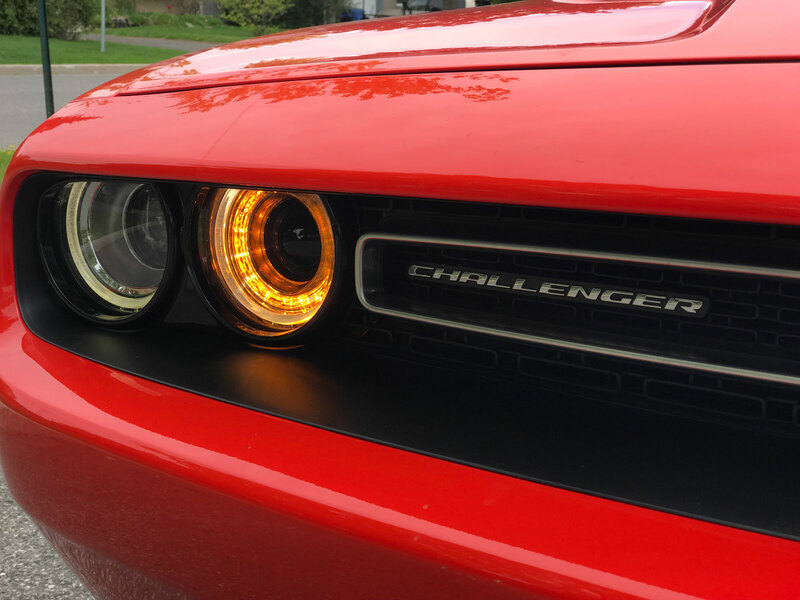 Again, I can’t help but feel this takes all the fun out of the Challenger but evidently this mentality remains in the minority for Challenger buyers. 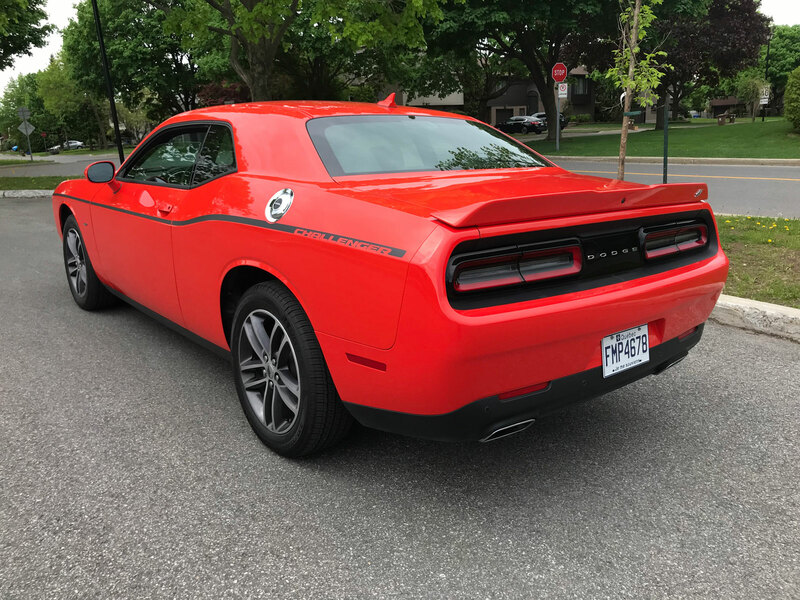 Despite it being a boat of a car in terms of size, the Challenger handles and brakes quite well. 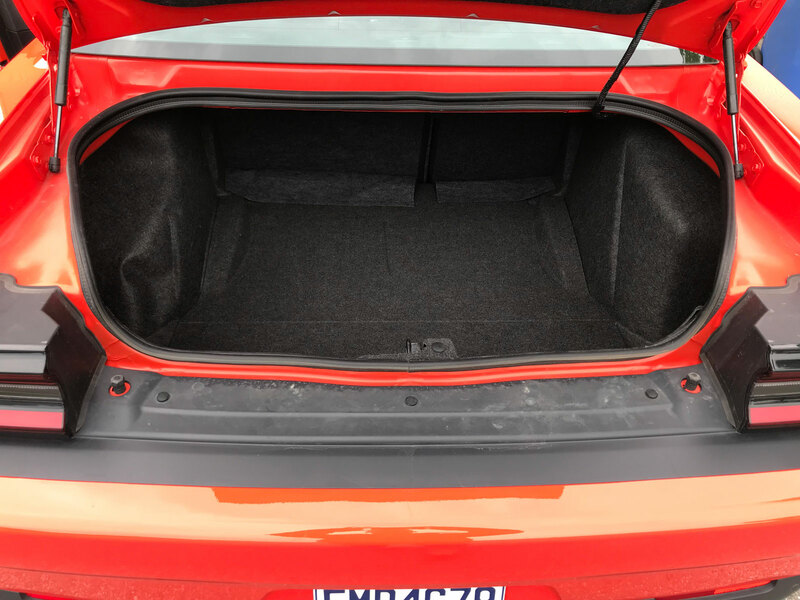 The GT has stiffer springs, extra suspension damping and anti-roll bars to give it that little extra edge and to make up for the added 71 kilograms of weight from the AWD system. One thing I did notice was how high the ride is. 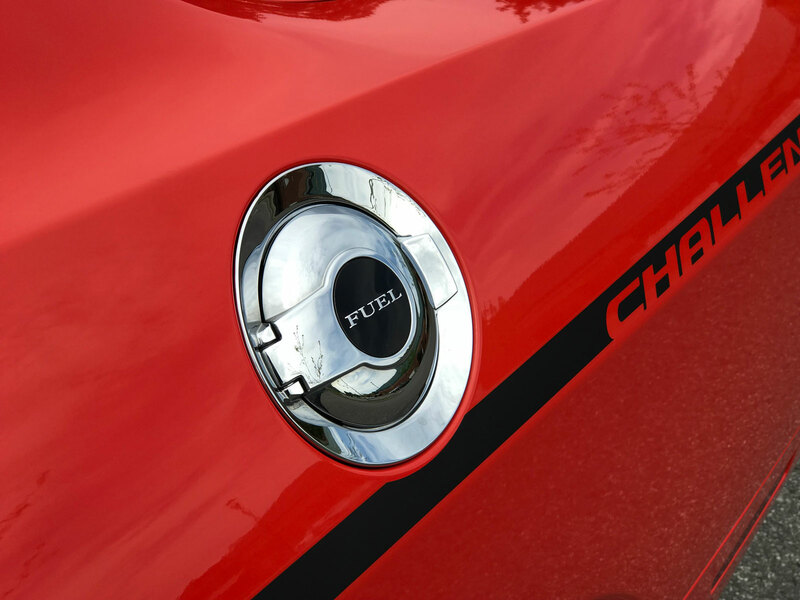 It didn’t really affect anything other than making me feel like I was driving a crossover. 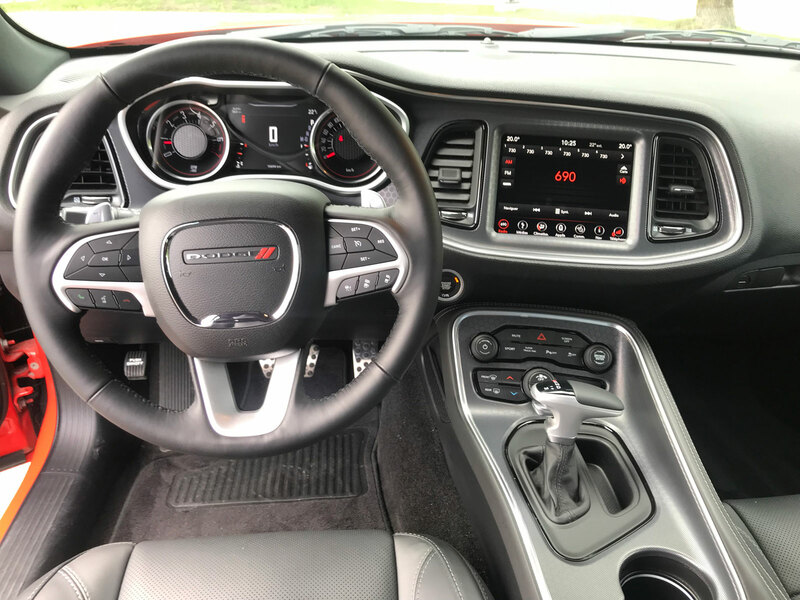 The interior of the Challenger is definitely driver-oriented above all else with the dash angling to the left. 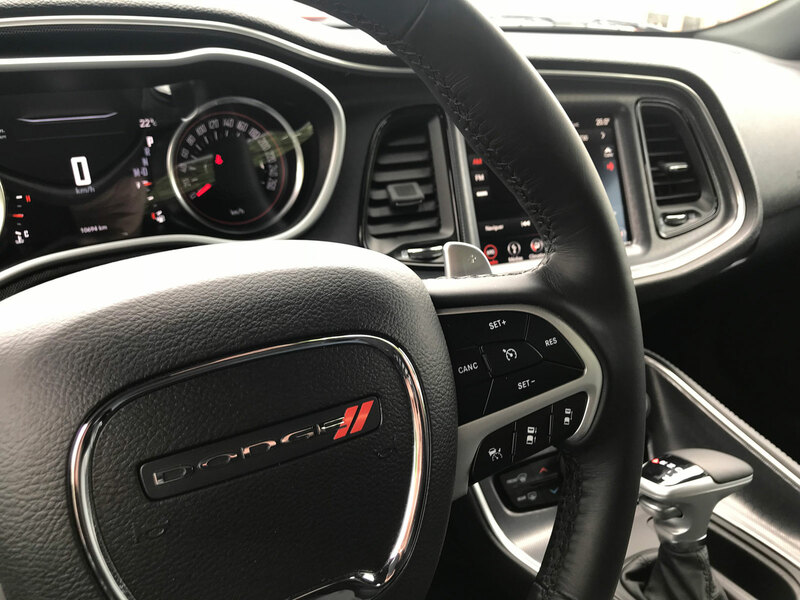 The large-handled gear shifter and strong north-south design of the floor stack is all muscle car. Ergonomically I loved it and every button and/or function is within perfect reach. 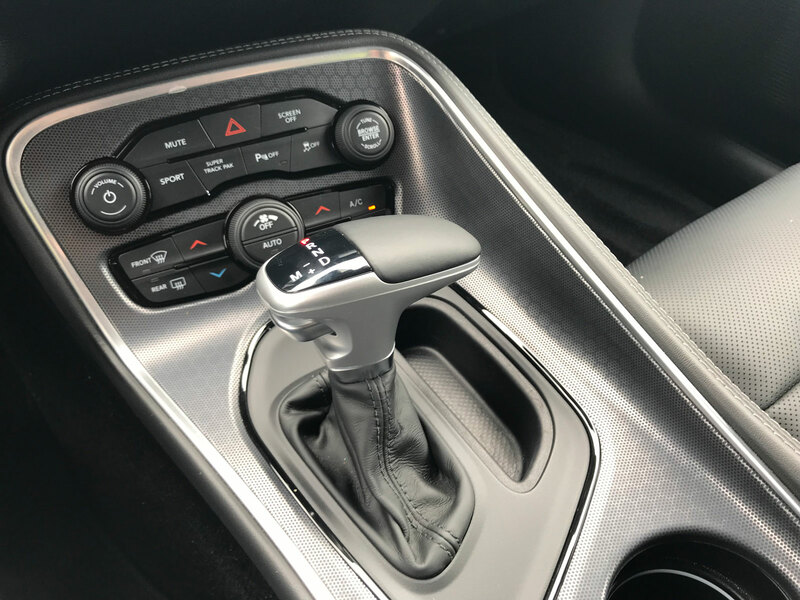 I suppose I’m getting to be old school when the thought of a physical volume knob and gear shifter give me great relief. 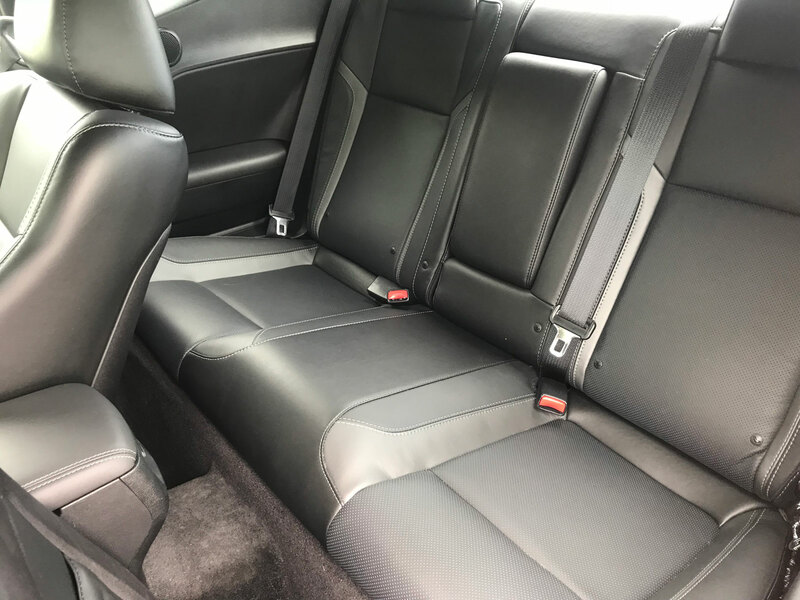 The Nappa leather seats and leather steering wheel are oh-so comfy to ride in so this makes for a great highway cruiser (for two people – forget about the rear seats for anyone other than small children). One concern I have is how these buttons and the general interior quality will hold up after a few years though. 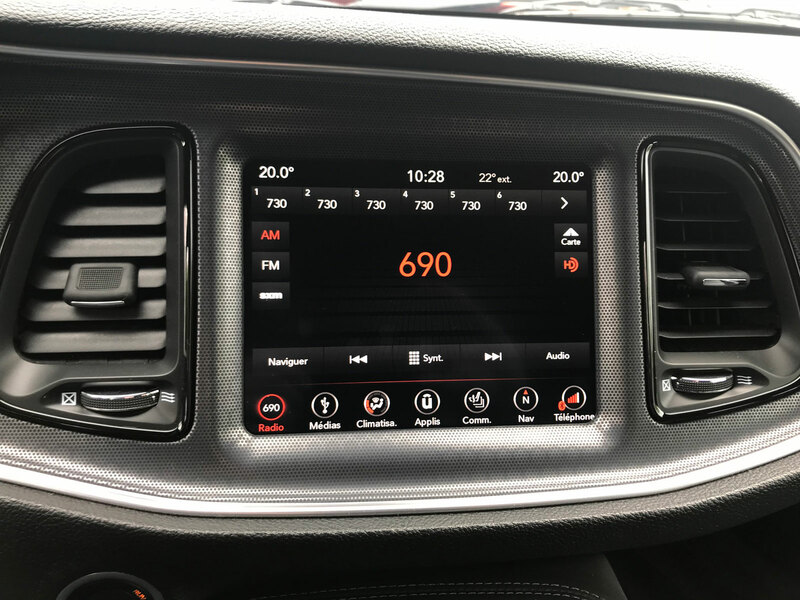 Dodge’s infotainment system is called Uconnect and is among the best there is in term of usability and intuitiveness. Unfortunately, I found it to be a little buggy and it’s not the first time I’ve had an issue with Uconnect. On a Chrysler Pacifica minivan I had the whole thing freeze up on me for several minutes. 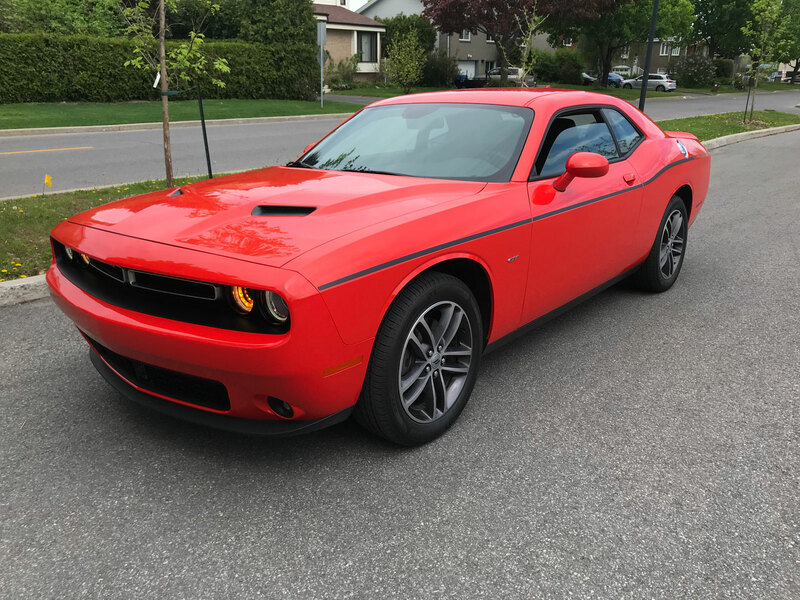 Nothing quite so bad happened with the Challenger however there were a couple times where the phone pairing confused it to the point where it didn’t give me any sound and had to be shut off and on. 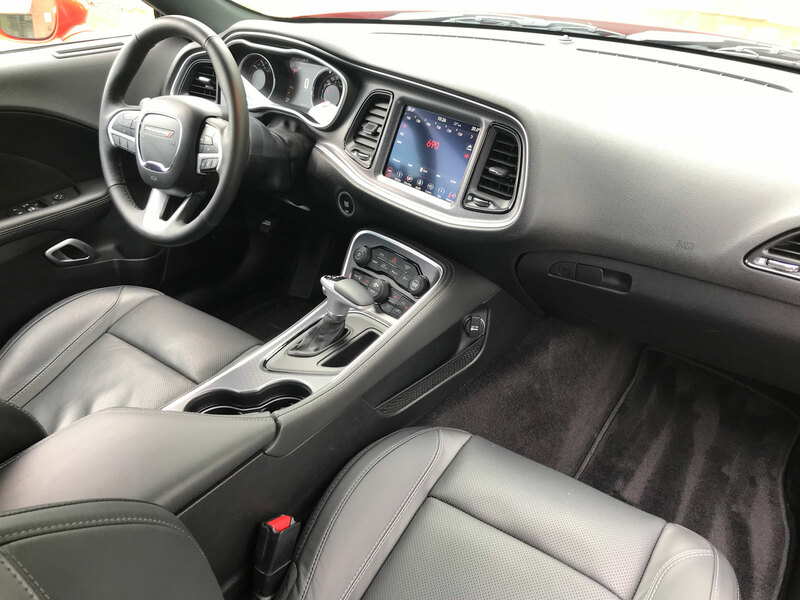 The list of standard features is long with heated seats, leather, heated steering wheel, the 8.4-inch touch screen, CarPlay, Android Auto, 19-inch wheels, proximity key and rear park assist. 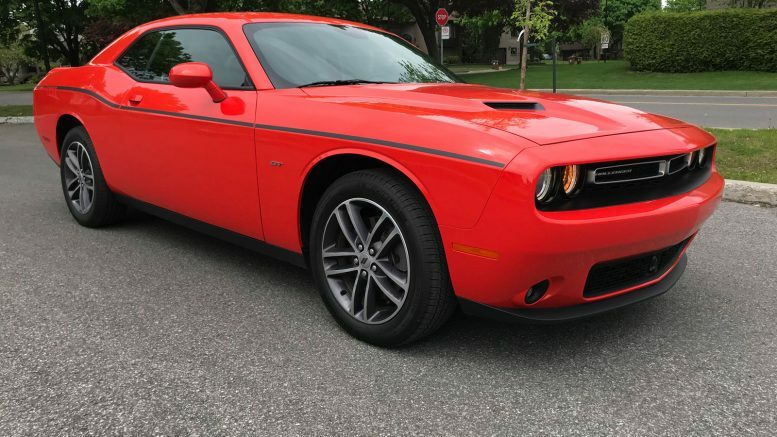 You can pick up a Challenger GT starting at $38,895. 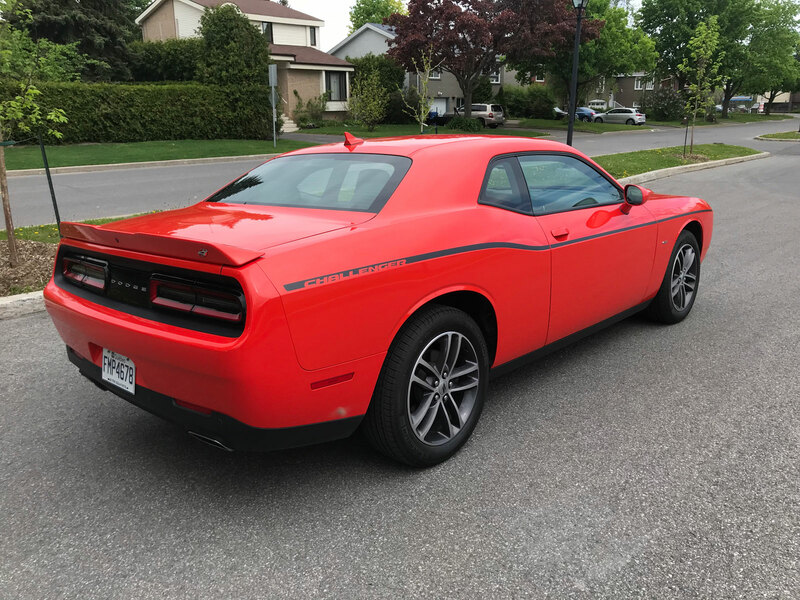 It’s not a bad deal if you love the look and feel of a muscle car, need all-wheel drive for the occasional snow storm and don’t need to race anyone. 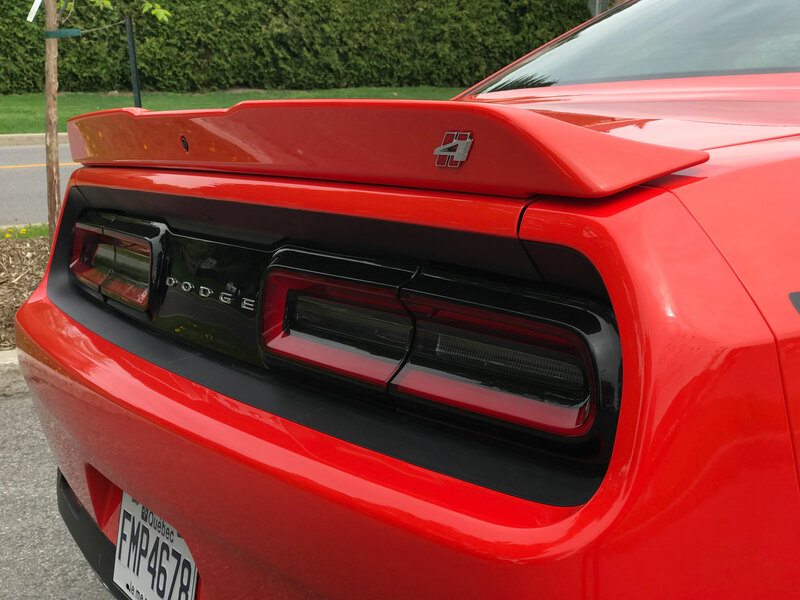 Kudos to Dodge for thinking outside the box and delivering a unique product.